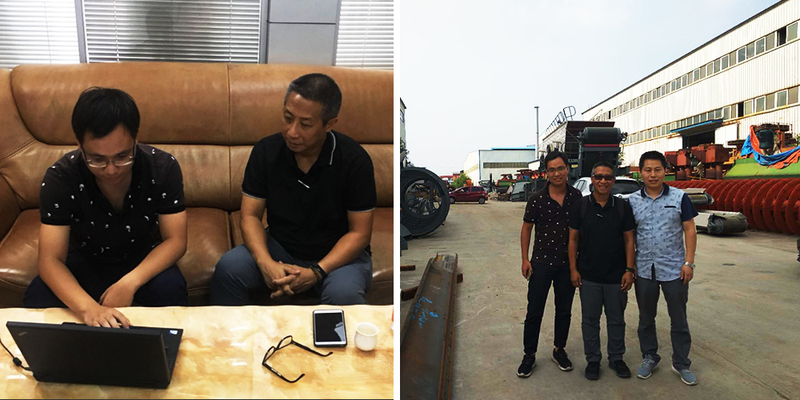 On the date of July 06, 2018, our customer from Philippines comes to our factory for visiting. He has bought a concrete batching plant HZS25 in 2010, and now he is back to us for another one mobile concrete batching plant YHZS60, which means the plant has brought him money and wealth. We Unique Concrete batching plant is very glad to contribute to customer’s good life. And also, to have such a gentle man as our good friend, make us very happy and honor. We’re really looking forward your next visiting soon.